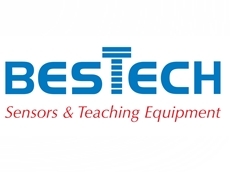 New from Bestech Australia is a range of vibrating wire strain gauges and sensors for geophysical applications where the prime requirement is to monitor changes in structural integrity and stress over long periods of time. Existing applications include the monitoring of stress and crack propagation in dam walls, tunnels, bridges, large diameter pipes, embankments, and mounting pads for heavy machinery and high voltage pylons. The Encardio-Rite vibrating wire technology is ideal where it is necessary to run long cables between the sensor and the controlling instrument. Changes in cable resistance and conductivity due to temperature and moisture ingress have no effect on the integrity of the frequency based signal where it can also be used for embedment in soil or concrete. 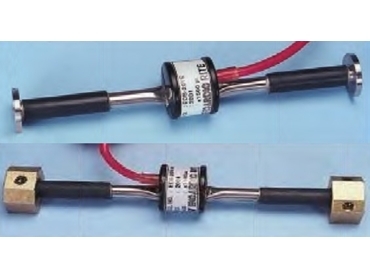 All Encardio-Rite EDS-20V strain gauges supplied by Bestech Australia comprise a pretensioned high tensile steel wire strain gauge element with thermistor temperature sensor as to measure temperate changes at the same time, and a permanent magnet and induction coil assembly. Both components are factory sealed to prevent the ingress of water, corrosive substances and gasses. The induction coil assembly is either mounted over the strain gauge assembly, or both components form one assembly. 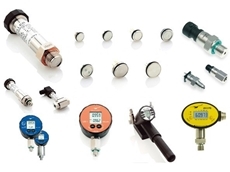 To complete a basic system, a vibrating wire strain indicator, such as the Encardio-Rite EDI-51V also available from Bestech Australia, is connected by a 4 core screened cable to the induction coil assembly to display measured strain that is proportional to the frequency output. 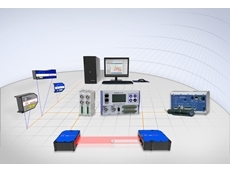 Multichannel signal conditioners are also available. 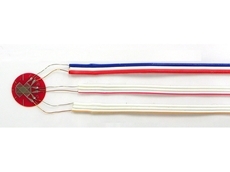 The EDS-20V vibrating strain gauge from Bestech Australia is available in several forms. The EDS-20V-SW strain gauge is attached to a flat surface where the gauge posts may be spot-welded or grouted in place. For example, the strain gauge may be fixed across a crack in the structure to be monitored. Typically, the mounts are secured in place first. The sealed element is then fitted to the mounts and locked in place. The EDS-20V-AW is a similar strain gauge to the -SW; however, the -AW is designed for use in wet or occasionally submersed locations. The mounts for the strain gauge element may be arc welded or epoxy grouted to the structure. The EDS-20V-E strain gauge is designed to be welded to the exposed steel reinforcement of the structure before a concrete pour. Therefore, the strain gauge becomes permanently embedded in the structure. Subsequent changes in the stress in the concrete while it cures can then be monitored. Bestech Australia has many years combined experience in strain gauge technology and offers advice and assistance to choose the optimum Encardio-Rite strain gauge to match each application. 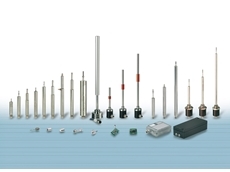 To complete a system with the necessary instrumentation, They also supply single channel strain indicators to multi-channel sophisticated data logging systems with full analysis capability.